Aren’t these adorable? 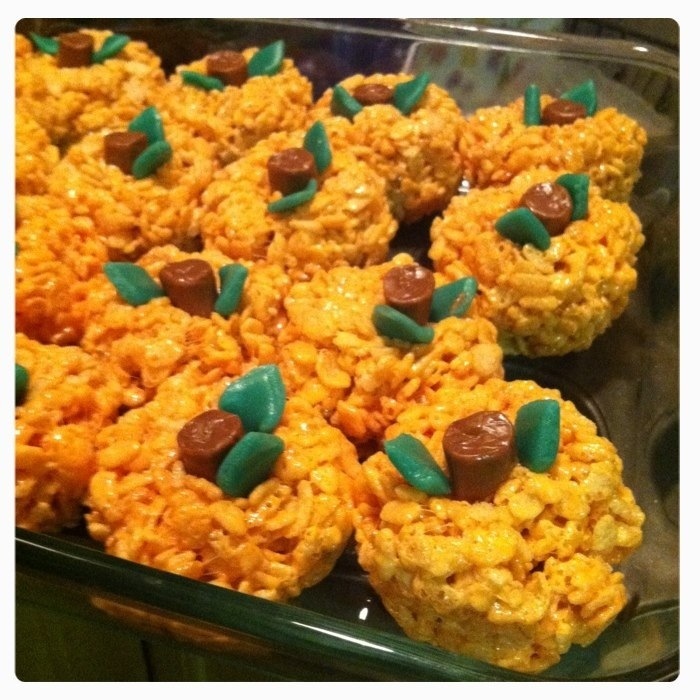 So easy to make, especially if you already know how to make a Rice Krispy Treat. 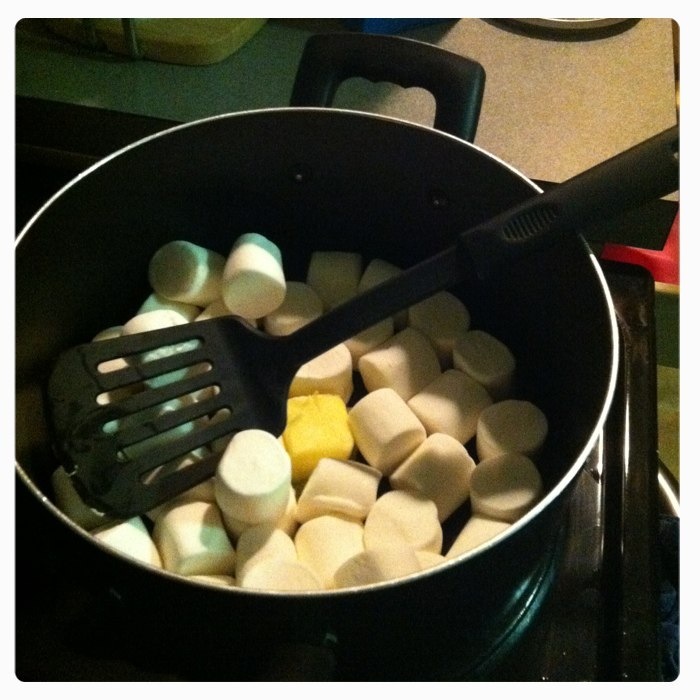 Melt butter and marshmallows over low to medium heat in a sauce pan. 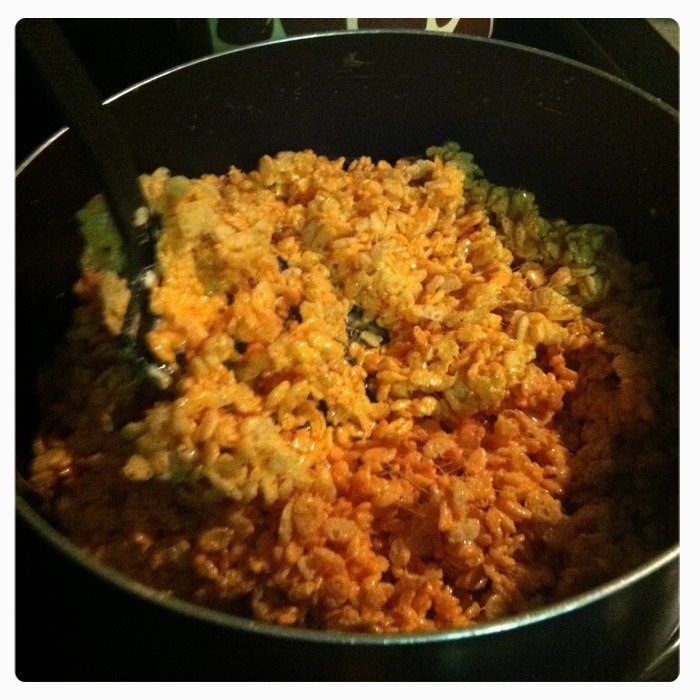 When melted, add some orange food coloring until you get everything melted down. Add the cereal, one cup at a time and stir in. Grab a scoop of the mixture and make into a ball, Place into a cooking sprayed muffin pan, the ball should fill just over the top. Press into the pan so the top is flattened a bit.